battalion | Where is @rusnivek? Industry speak or technical jargon is part of what we do every day. But using technical terms on a social media platform will be confusing to those who are NOT in the fire service. 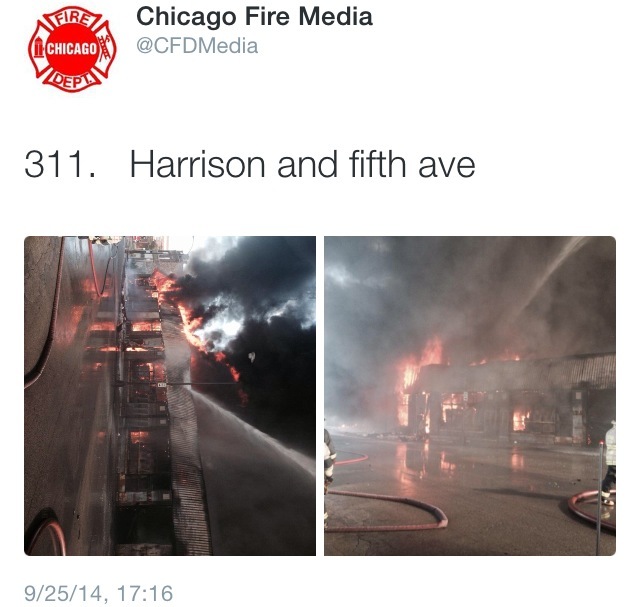 That’s what the Chicago Fire Department did yesterday at their big 3-alarm fire when they tweeted technical jargon. The use of technical jargon is rampant in emergency services but when speaking to the media or the general public, we need to remember that everyone did not grow up with a VOX alarm or SCU tones. In this case, a “311” or 3-11 alarm means that there are 11 engines, 5 Trucks, 2 Tower Ladders, 6 Battalion Chiefs, 1 Rescue Squad, 2 Ambulances, 2 Paramedic Chiefs, Deputy District Chief, Deputy Fire Commissioner, and the 1st Deputy Fire Commissioner are onscene. There is no way to include all that information in a tweet, but using more simple terms will help your audience understand the scale of your ongoing incident. Before you post images, make sure your pictures are rotated correctly. I know accuracy is sometimes overlooked in lieu of speed, but it takes less than 5 seconds to orientate/rotate a picture (In this case, it was going to be a long operation). And note, by just rotating a picture does not equate that you are “doctoring up” photos. But a correctly posted photo will help media repost and format your information quicker to the masses. 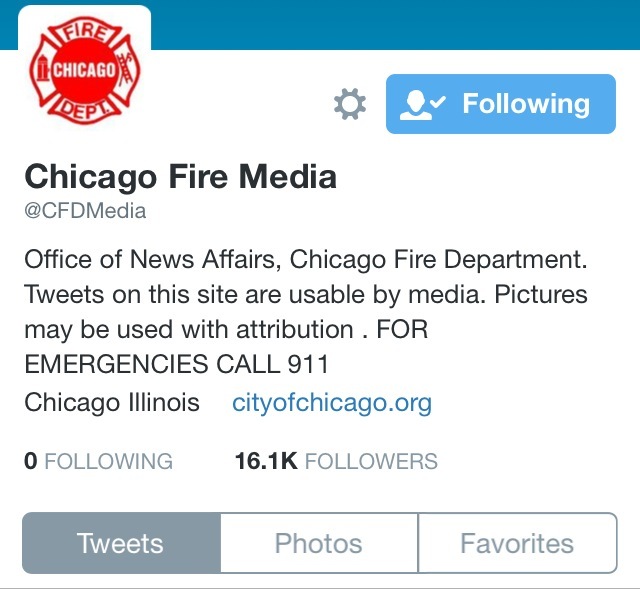 During an emergency situation, your constituents need the information pushes to be actionable and specific to your audience. Not only inform them of the danger, but tell them what they can do about it. You cite the authority having jurisdiction and established incident command presence. You generally described the size/category of the ongoing incident and critical information to media. You identify the exact location of the incident. You describe the delays in the area and give actionable information to your constituents. You still have lots of room to push properly orientated pictures with your informational tweet.